An elegant yet comfortable oceanfront condo with gorgeous views. This unit is tastefully decorated and includes a balcony off of the dining area AND both bedrooms, making this the perfect place for your family/friends to soak in the beautiful Atlantic Ocean views! 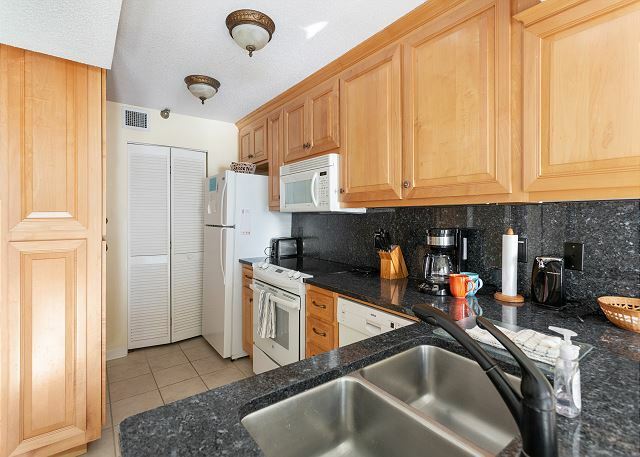 The fully-equipped kitchen features natural maple cabinetry with black granite counter-tops and tiled flooring. The guest bedroom holds a queen bed and the guest bath has a tub/shower combo. The master bedroom holds a king bed and has a double-sink vanity, garden tub, and separate shower. Cable TV is provided in the living room and both bedrooms. Wireless internet access is also provided. The Beach Club Complex offers a considerable amount of amenities that make your vacation effortless - such as a large swimming pool, children's pool, two hot tubs, kid's sandboxes, a tennis court, fitness center, game room, and business center. There are even bike rentals for you onsite! Want the best of the best? This is it!! We have been coming to this unit for the past several years. We love the place.. convenient to the village and right on the beach!! This is our third stay at this property and we have always been extremely satisfied. The location is perfect, right on the ocean with a beautiful view from the living room and balcony. The condo has a convenient and spacious layout with sun coming in from two sides. It was clean and modern, and the rental company was professional and easy to work with. We plan on continuing to return on a yearly basis. Great trip. Hope to return. We enjoyed our stay so very much. This by far one of the better places we have stayed onSSI. And we have been there 13 times. It has such good views. You can wakey up and see the ocean. Thanks so much for a great trip. Hope to return again. I have traveled to St. Simons Island numerous times in the past, and stayed at conference centers, hotels, and condos. Beach Club 330 was by far the best place I've stayed. The location off of Ocean Boulevard is so convenient. Its a 5-minute walk to great BBQ and seafood, a convenience store, and some shopping. Its a short drive to the pier. I did walk it, but it is further in the hot summer sun. There is easy access to the pool and beach from Beach Clubs private boardwalk. That was great! The Living Room and its balcony have spectacular views of the ocean. We spent a lot of time there, watching the sunrise, relaxing during the day, and watching the stars at night. The Master Bedroom, Guest Bedroom, and "side" balcony have good views of the ocean, as well. There were games and family-friendly movies available for rainy days or quiet evenings. 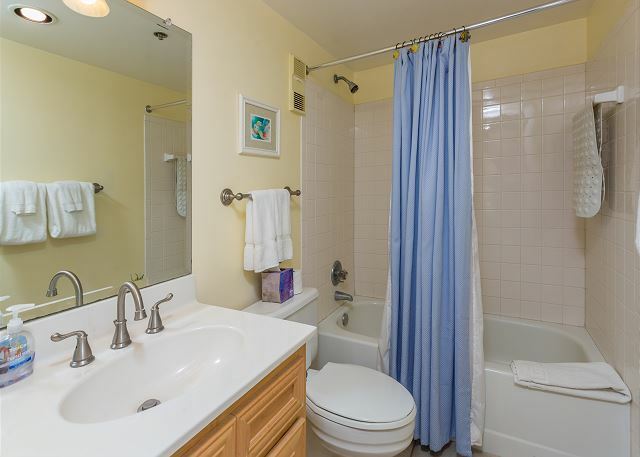 The Master Bath was good-sized, and the shower was bigger than I had thought it would be from the pictures in the listing. We had plenty of hot water, even when people were showering in both the Master and Guest bathrooms at the same time. There were extra linens and towels for us to use, as well. The beds were comfortable, and there was ample storage for our clothes. I really appreciated that there were also two power strips for us to use in the Master Bedroom. With all of our electronics, that was a very practical and thoughtful touch. We found that the wi-fi was intermittent at times, which was a Beach Club-wide service issue, and not that of this unit. We got by between the wi-fi and our cellular data plans. Weve decided that St. Simons is our happy place, and hope to come back often. We will be checking the availability of Beach Club 330 when we do. Weve been spoiled by all that it offers and would love to stay there again! This was a very nicely furnished condo with spectacular beach views from both balconies. There were two of us which was perfect. Two more could have stayed as well if you dont mind bathroom sharing. Both the owner & management company very helpful. The location was perfect, less than 5 minutes to village & pier where there are lots of restaurants & shops. Loved that we could see sunrise from balcony & sunset from pier. The pool was nice and well maintained, as was the whole property. This beach is perfect for walking & shelling. 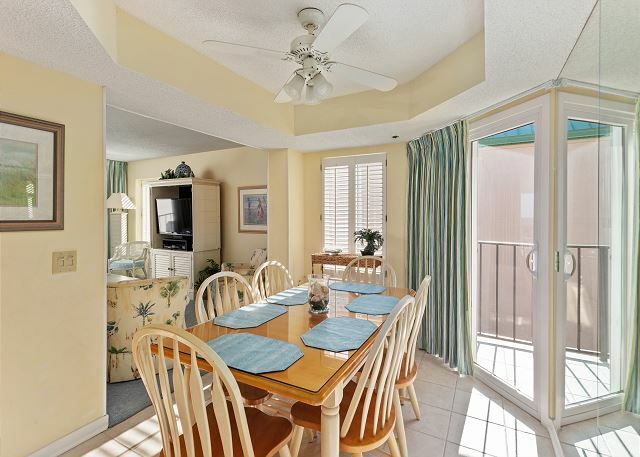 We will plan to stay in this condo on our next visit - definitely nicest one weve rented on SSI. We had a great time at this unit. It has a wonderful view and we were able to enjoy coffee and drinks while watching people and dogs walk on the beach each day. The unit has everything you need for a great vacation. We cooked a few meals in and the kitchen was well equipped. The walk into the village/town is under a 30 minute walk. There are two great restaurant that are only a 10 minute walk away. We will definitely be back. Once again our decision to keep returning was validated by our thorough enjoyment of the experience. We have been very pleased with the rental for the last 3 years. Clean, comfy, Convenient with a view! Truly ocean front- unobstructed view of beach from 3rd floor across a small lawn to the beach. Well equipped kitchen allowed us to eat in whenever we chose. 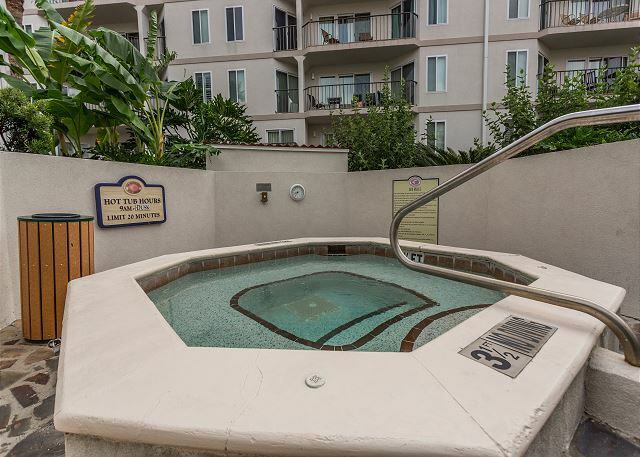 The pool and hot tub were easily accessible to/fro the beach. Under cover parking right below unit with elevator or stair access. I've been coming to Saint Simons for almost sixty years and this was one of my most enjoyable stays. The condo was perfect for my wife and I. Very clean and well kept. The view was fantastic! The location relative to places to eat was also a plus. Over all an awesome experience! We had a great time on our St Simons Island vacation. We did day trips to Jekyll Island and Savannah, in addition to seeing Charleston on the way home. The condo worked out great !! Great Ocean views, well maintained and stocked. The Beach Club facility was great and everyone was very nice. Highly recommend it !! We have visited St. Simons many times. This was our first stay at the Beach Club. The unit we stayed in was exceptionally nice & very clean. It had a great view of the ocean which we really enjoy. We would recommend staying at the Beach Club. The condo was very comfortable and the location was great. We could see the ocean from our balcony and enjoyed daily walks on the beach. There were lots of good restaurants to choose from when we wanted to go out to dinner. This is the second time we have vacationed here and plan to be back next year. Our trip was delayed because of the Hurricane, but we were able to arrive the day after public access was permitted. The property management , public service employees and road crews did a fantastic job of cleaning up and clearing the roads on the island. We had a few minor inconveniences but we were amazed at how fast the area recovered.The business owners also got their property opened quickly. The condo was very clean and well-stocked . Housekeeping did a great job to prepare for our visit. The gracious owners kept us informed of conditions and were concerned for our safety and well-being. Thank you ?? I loved,loved,loved the view from the front balcony! We enjoyed a full moon every night! The condo was very nice but somethings were missing like sheets for the sofa bed and towels...we had to use our beach towels to take a shower as there were 6 of us and 4 towels in the whole condo! We could have brought linens if we had known but we thought for the price they would be included! But that view....wow! Our stay at this condo was a wonderful experience. It was clean, perfect floor plan for four and the view was breathtaking. Unit owner continues to provide a great facility. Accommodations were excellent - clean, well appointed. We were convenient to everything - restaurants, etc. but enjoyed quiet and solitude. It has been a long time since we have enjoyed a vacation any more than this one. SSI is great and our accomodations were beyond our expectations! The condo was extremely well appointed; it had everything we needed. The duel balconies were especially nice. The owner was very friendly and tremendously accommodating. Picking up the keys and drop-off was a bit inconvenient and the condo was quite dusty and the side balcony was rather dirty. However, we had a lovely vacation with no problems whatsoever. This is the first time we have vacationed in St. Simons Island GA, and we intend to make it an annual trip. Pat is a gracious owner and sent an email when we booked the condo that gave us info on area attractions and restaurants. Pat also called us to make sure we had a safe trip since there were many air delays because of storms in the area.Pat also wanted to make sure that we were satisfied with the condo. Her condo is one of the nicest we have stayed in, and we have traveled for many years along the Atlantic and Gulf is beautifully decorated and designed so that guests are not in each others' way. We loved the oceanfront views and the extra balcony/ views from both bedrooms. We were extremely satisfied with the condo and the Beach Club property. Managers are on-site and the property is well-maintained , secure and clean, even the elevators. We needed some items and called Real Escapes Office. They were delivered that day! We ate at several area restaurants and always had a delicious meal. The condo and the complex are awesome. It's a little older but so well maintained, both the condo and the grounds. 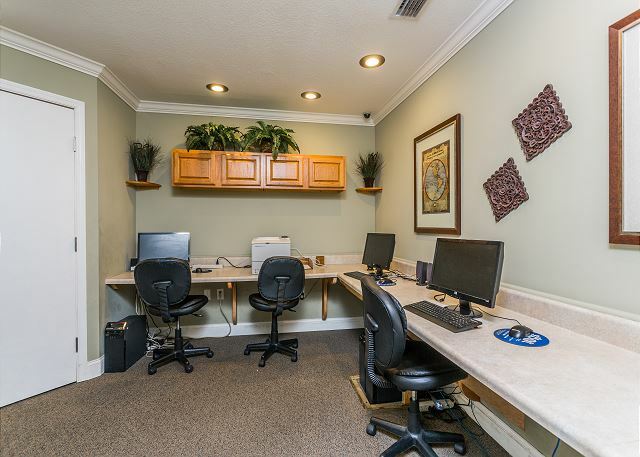 The owner and staff at the both the complex and property management office are excellent. The beach and ocean are very nice. Overall I was pleased with the property. Very clean and comfortable. Wonderful! Second 4th we've spent in this special place. The view is perfect as was the weather on the beach...high tides and lots of breeze. Hope to come back soon. Thanks so much! We come to SSI several times a year and always enjoy our experience renting through Real Escapes. The condo at Beach Club was wonderful! Great location, beautifully decorated and amazing views of the ocean! A perfect week of relaxation! All was great. Condo the best, weather great, beaches great. THE BEST. We enjoyed our recent stay in Georgia. The Beach Club 330 was a good choice. The building and grounds are well-maintained and even though it was spring break for school-age kids, it was really peaceful and quiet. I am sure we will return. The weather most of the trip was not good but the condo was awesome and the view was incredible. Every thing was as stated in the description of the property. The views were fabulous. The location perfect. The grounds are very nice and the walk to the beach easy. We loved it and plan to return next summer! We had a great week. The view, condo, and St. Simons is a neat place. Everyone was so friendly and attentive and the fireworks were fantastic! We relaxed and enjoyed every minute...already looking forward to next year. Nice and clean condo with nice view of beach and well equipped kitchen. Beautiful view of beach and ocean. The condo was comfortable and clean. Had everything we needed. The condo was just beautiful. It had everything we needed for a relaxing vacation. Picked up the keys from their lock box, turned in the keys through their door slot. Everything was arranged online, leaving plenty of time for the beach. we had a wonderful time and will hopefully return soon. there were a number of things we weren't able to do due to weather but I do love st. simon's. We had an absolutely fantastic time on the island, and loved our condo. We are already talking about when we can come back! Thank you. On-line property listings sometimes look better than they are. Not in this case. The unit was very well kept and really quite comfortable for two couples ... and it looks like the pictures make it seem. With direct access through the pool area to the wonderful beach (goes for miles), it's a great place to unwind or to use as the base for a St. Simons holiday. Special thanks to the owner for her helpful crib notes for first time visitors to SSI on where to eat, golf, etc. This condo enjoys wonderful beach and sea views from two balconies, is comfortably and tastefully furnished, has every possible convenience, and is in a building meticulously maintained and a setting beautifully landscaped. Unit 330 is ideal. The owners are a delight. The Beach Club supervisory staff members are willing and efficient. Grounds are groomed and beautifully planted. Building maintenance is impressive. The unit itself is tasteful, comfortable, full of daylight, and immaculate. Our rare requests for assistance from Real Escapes have been handled promptly and graciously. We feel delightfully spoiled here.